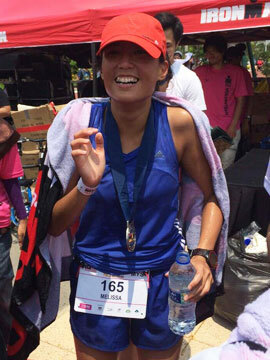 Kuching: Eat, Explore, Run | JustRunLah! Kuching is a City of Culture but is still an untrodden gem in Malaysia. It is an interesting state indeed. Being on the other side of Malaysia, there are a lot of cultural differences that are reflected in their architecture, traditions and also food. 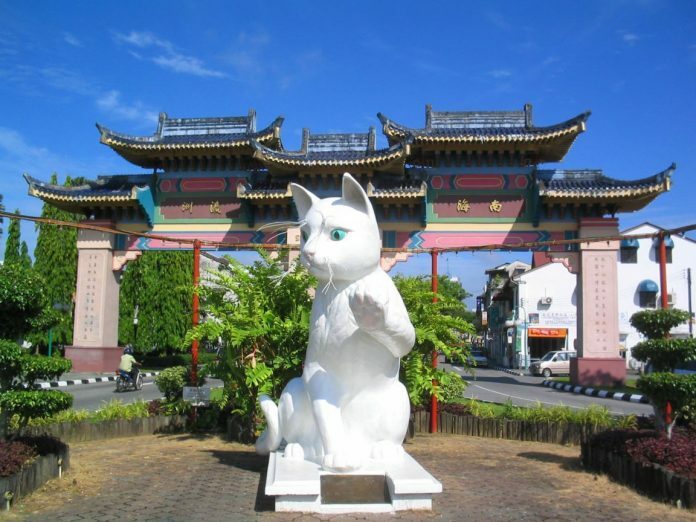 Eat, Explore and Run Kuching! Experience a total different side of Malaysia! You can’t go to Sarawak and not have tried these 2 delicacies. Start your food journey with a bowl of Sarawak Laksa. Sarawak Laksa is a dish of vermicelli rice noodles cooked in a shrimp base broth. This broth has a Sarawakian flair to it – having a Sarawak influence. It is cooked with Sambal belacan, tamarind, galangal, lemongrass and thickened with coconut milk. Sounds like a standard laksa, but oh-so-different. Then there is the Sarawak Kolo Mee. 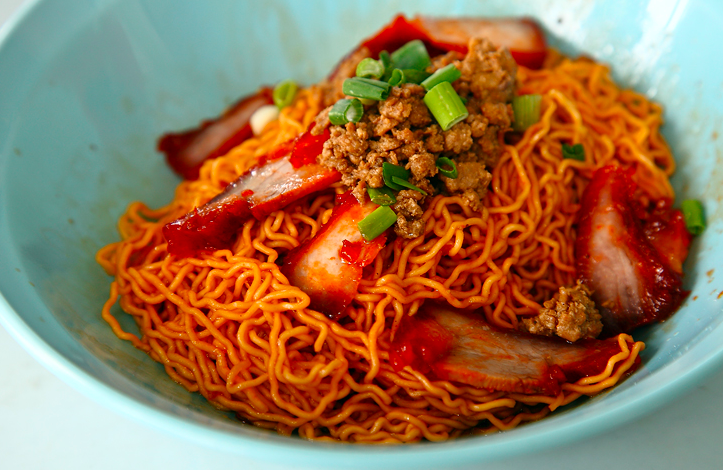 This is a simple bowl of springy noodles with char siew slices and minced pork. There are 2 variations – the original and the BBQ flavour. It’s a very simple dish but it’s a bowl packed full of flavour. It will keep you coming back for more. 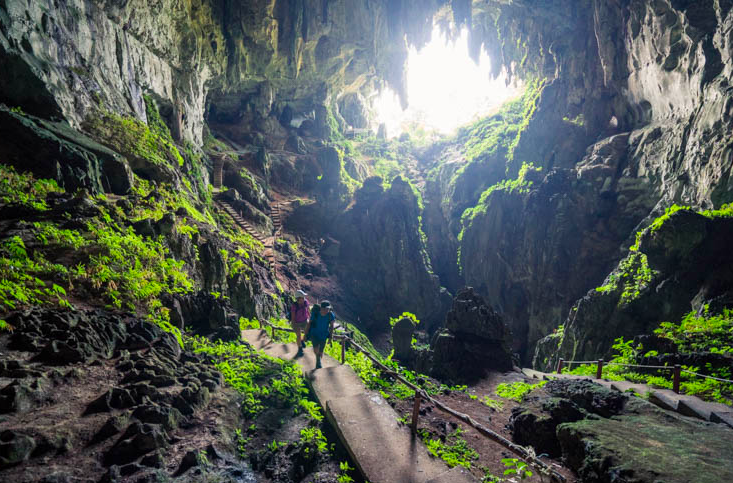 Explore the magical fairy caves in Kuching. It is an impressive show cave – with plants growing within the caves. The combination of light, water and the guano-enriched soil makes it conducive for the growth of flora. It is quite a magical sight to see a whole ecosystem in a cave. The Bak national park also boasts great views of flora and fauna. Or a short hike at Santubong will give you some breathtaking views. Carpenter Street is a place to immerse yourself in food and culture. The fascination on Carpenter street doesn’t just end with the food but extends to the old buildings housing them. It’s a step into the past, and you will definitely be enchanted by the charm of the old city feel. Explore, discover and #TranscendYourself with The Performance Series in Kuching on the 3rd September 2017. 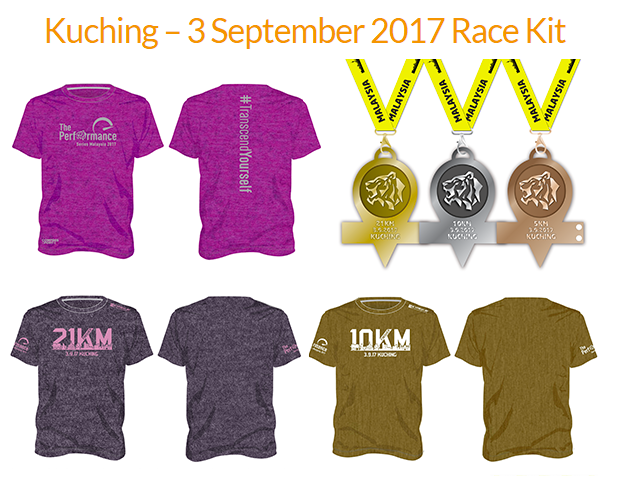 Take a look at the race pack! 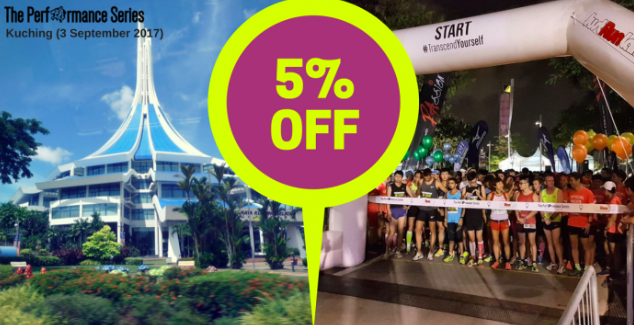 Earn a stunning finisher tee, a great medal, possibly a personal best and a great experience #TranscendingYourself with your family and friends! What you waiting for? Join in the fun! Great news for JustRunLah! readers, click here for a 5 per cent promo code!